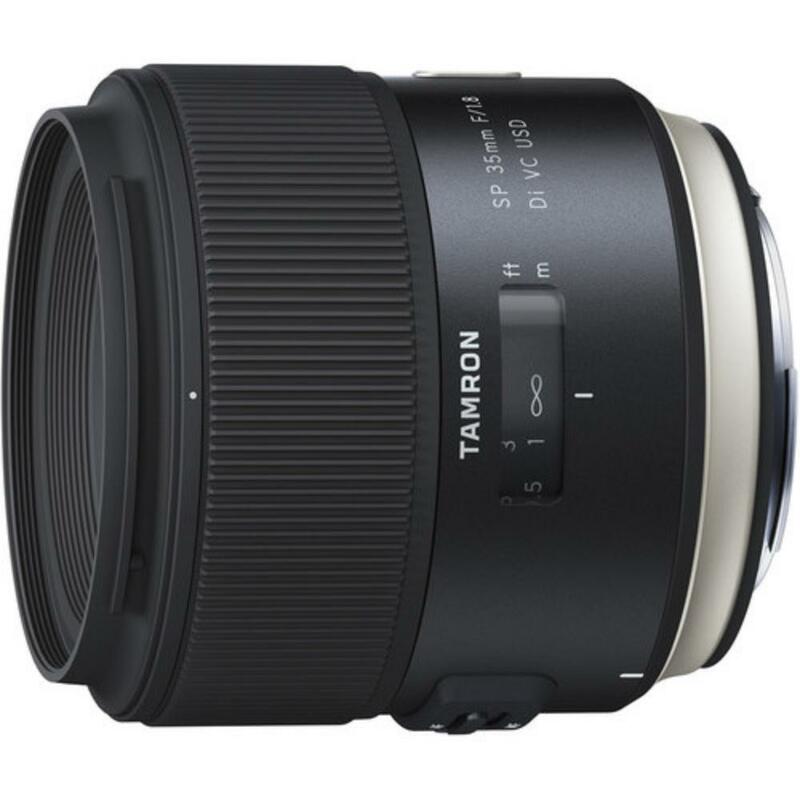 The Tamron 35mm f/1.8 SP Di VC USD Lens for Canon provides a classic 35mm perspective that is perfectly suited for street and event photography. It sports a moisture resistant build with quiet AF and image stabilization. It can be paired with both full frame sensor cameras, such as the Canon 5D Mark III, and with crop frame sensor cameras, such as the Canon 7D Mark II. The focal length equivalent on crop frame sensors is 56mm, which is a great length for portraits.